Call us before the numbers build up – there is no need to go through the discomfort of flea bites. 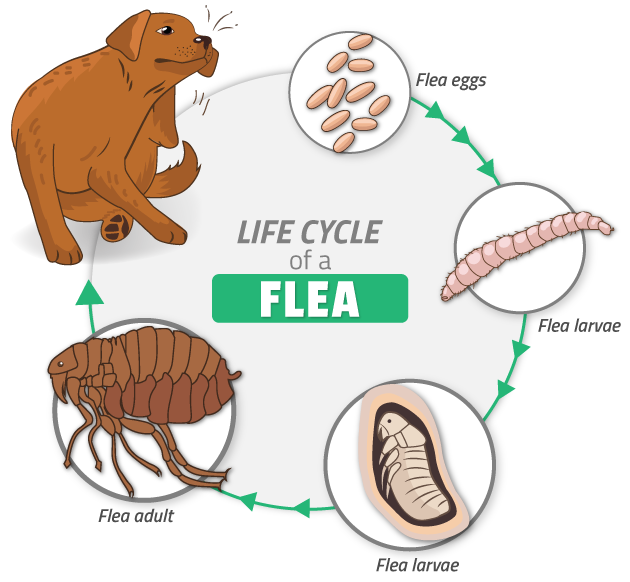 The life cycle of the flea is similar to that of a moth: egg → larva (caterpillar) → pupa (cocoon) → adult. A newly hatched adult flea is unfed, small, black and aggressive. For every flea on your pet there may be hundreds waiting to emerge. Latest research shows that adult fleas do not leave the pet to lay eggs. The white eggs are laid on the pet and embed into your carpet or wooden flooring. The eggs hatch and small, blind larvae emerge. These larvae move away from the light, burrowing down into the carpet, cracks in the floor or soil. The solution for successful flea control is the treatment of both your pet and your home. Floors and any furnishings in close contact or used by your pet should be vacuumed before being treated. This is to stimulate the pupae to emerge as adult fleas. After vacuuming the areas, the vacuum cleaner bag must be disposed of immediately to reduce the spreading of fleas. Normally our approach is to apply high quality liquid spray that is of low toxicity to mammals to the flea harbourages, particularly the areas where pets rest or sleep, will eliminate resident flea populations. To reduce any risk of flea reinfestation, the pets’ bedding needs to be washed and all pets treated with appropriate flea treatments. 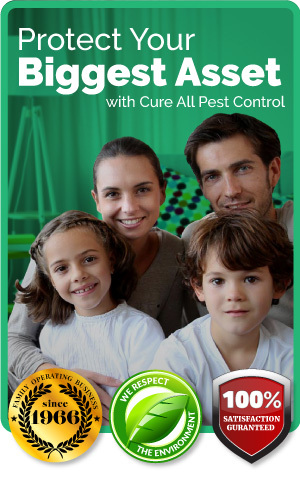 Cure All can eliminate fleas internally in your home from $110, or internal & external for $143 for an average Brisbane home.